Interior of Independent Presbyterian Church, Birmingham, AL. From photo by Paul Romjue. In 1915, maverick and charismatic 37-year-old minister Henry Morris Edmonds, on trial before the Presbyterian Church in the U.S. North Alabama Presbytery for doctrinal heresy, walked out of his pastorate at Birmingham’s South Highland Presbyterian Church, taking five hundred of the church’s members with him. Closely allied in the then radical Social Gospel Ministry with Jewish Rabbi Morris Newfield, Edmonds literally led his congregation across Highland Avenue to a temporary seven year home at Newfield’s Temple Emanu-El. 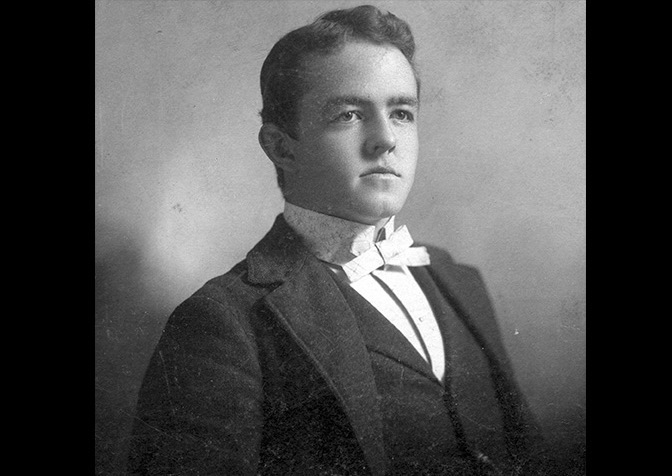 Henry Morris Edmonds shortly after his graduation from the University of Tennessee, circa 1900. Photo courtesy of Joan Edmonds and Sam Dewey. 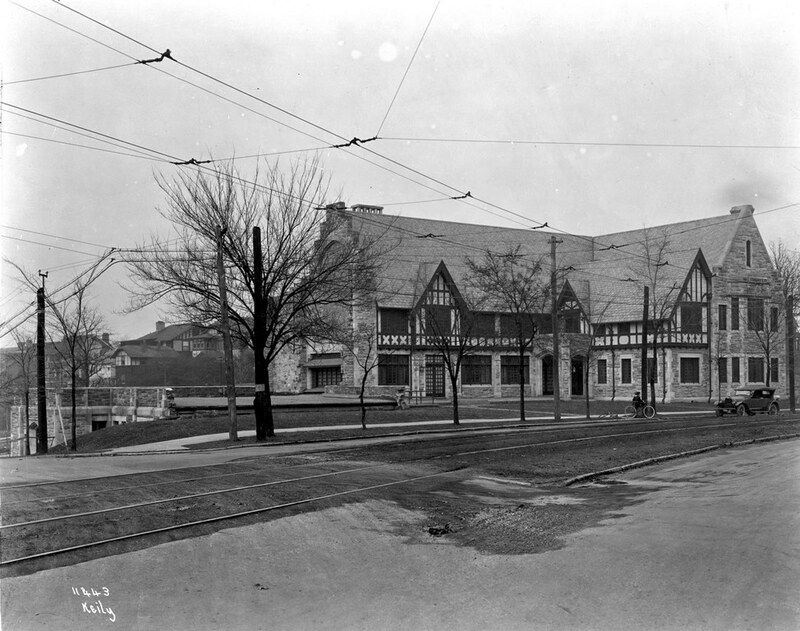 Almost immediately, Edmonds augmented his Sunday morning pulpit duties with evening services conducted at the Lyric Theatre, a 1,200 seat vaudeville house. Edmonds’s “congregation” at the Lyric consisted chiefly of the down-and-out in the gritty industrial mining town. In an era almost totally lacking in social services, Edmonds led his more traditional Sunday morning congregants, including many business, civic, and social leaders, in addressing issues challenging the less fortunate, a mission he described as “setting our sails toward philanthropy” and in so doing formulating a church focus that would continue for the next 100 years at Birmingham’s Independent Presbyterian Church (IPC). Both ahead of his times and fearless, Edmond’s most notable sermon from the stage of the Lyric Theatre was a vociferous cry against the then very active Ku Klux Klan. Elders served as ushers with loaded guns at the ready to protect the life of the courageously outspoken minister. 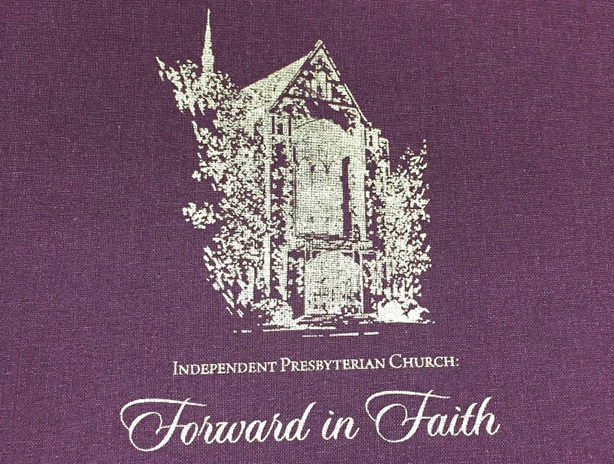 Independent Presbyterian’s first century is chronicled in Forward in Faith, published by the church in 2014 and co-authored by the late Birmingham Public Library Archivist Dr. Marvin Y. Whiting and myself, church member Cathy Adams. For the church’s 2015 centennial, I updated and expanded Whiting’s The Bearing Day Is Not Gone, published in 1990. Forward in Faith was recently added to the collections of the Presbyterian Historical Society. Other items of IPC interest available to PHS researchers include early church records on microfilm and a congregational vertical file holding church bulletins and personnel forms, mostly from the 1950s and 1960s. IPC archival materials at the Birmingham Public Library are cataloged and available to the public on request. Forward in Faith cover, 2015. IPC’s story unfolds naturally through the leadership progression of the church’s seven senior pastors and thousands of members, but in the case of a church with a strong emphasis on the arts, a key player is the architecturally imposing structure that the church calls home. According to Marvin Whiting, Henry Edmonds initially expressed little desire for constructing a bricks-and-mortar monument. History is murky as to the factors leading to the minister’s change of heart, but in 1922, shortly after affiliating with the Presbyterian Church in the U.S.A., the “independent Presbyterians” left the accommodations of their gracious Jewish hosts and moved down the winding boulevard of Highland Avenue to an English Perpendicular Gothic sandstone and half-timbered church designed by local architects Miller Martin & Lewis. Four years later saw the Easter weekend dedication of a magnificent sanctuary designed by another leading architectural firm, Warren Knight & Davis. The original wing of Independent Presbyterian Church was completed in 1922. A sanctuary was added in 1925 and dedicated Easter of 1926. Photo courtesy of Birmingham, Ala. Public Library Archives. While the city experienced “white flight” to the southern suburbs in the 1960s, Independent’s membership, unlike that of many inner-city American congregations, continued to grow, thanks to the leadership of ministers Dr. John Lukens and Dr. M. Scott McClure, both of whom were, in the mold of Edmonds, vocal advocates of racial harmony and diversity in the strife-torn epicenter of the Civil Rights Movement. Disaster struck in 1992 when the original 1922 wing of the church--including the parlor, Great Hall, offices, and classrooms--was destroyed in a massive fire. As firefighters from across the city fought an inferno consuming a landmark, one of the first telephone calls minister Scott McClure received was from the President of the Congregation of Temple Emanu-El, saying, “Come home.” In a remarkable repetition of generosity, the members of the temple hosted their Independent Presbyterian brothers and sisters while reconstruction was underway. Determined to stand their ground within the city limits, the congregation rallied with financial support to supplement insurance in a more than $10 million dollar restoration. Under the ministries of Dr. James Carter and Dr. Conrad Sharps, the congregation again generously contributed millions to resolve residual damage affecting the slate roof, sanctuary, and stained glass windows. 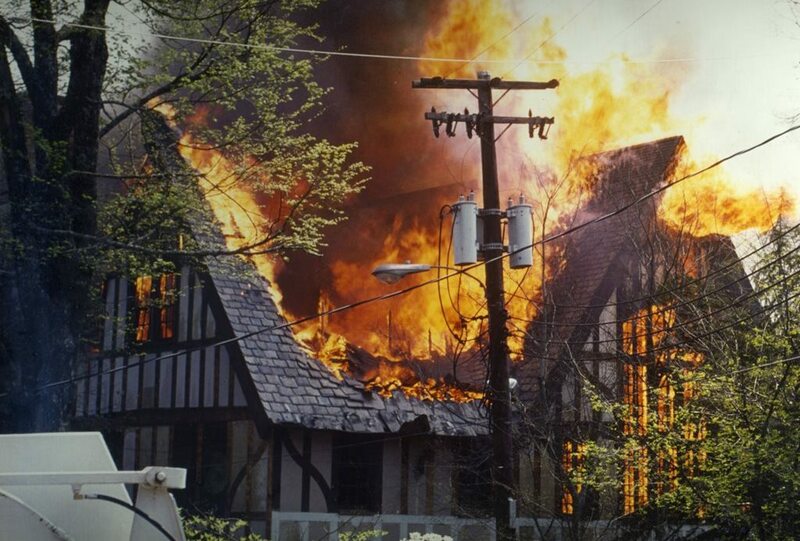 On April 8, 1992, the original 1922 wing of the church was destroyed by fire. Church members supplemented insurance payments in a more than $10 million restoration. Photo courtesy of The Birmingham News. Emphasis on meeting the needs of the underserved of the wider community and recognition that the visual and musical arts are gifts from God have always been strong spiritual components of the ministry begun by Henry Edmonds. 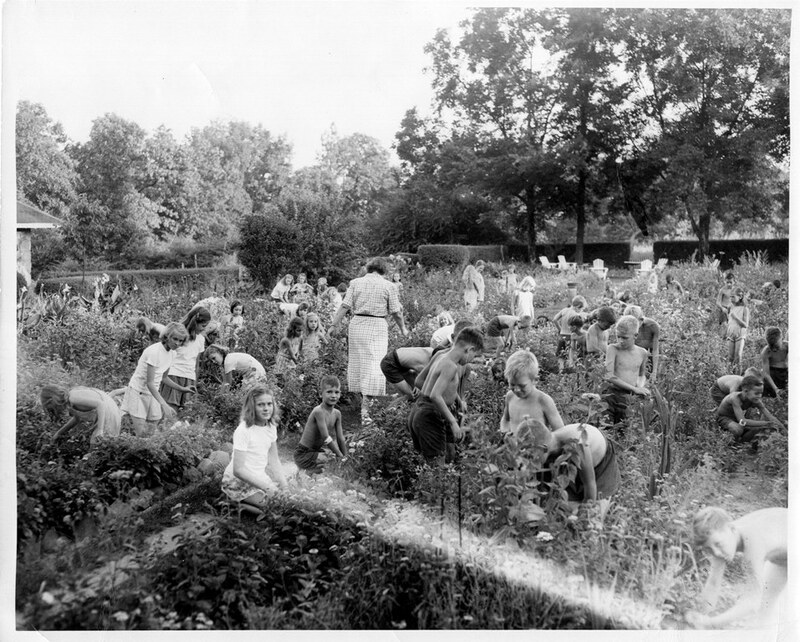 In 1923, Edmonds persuaded local philanthropist Robert R. Meyer to fund a Childrens Fresh Air Farm (CFAF) for indigent inner-city children, and for 86 years the farm south of Birmingham represented a summer haven for children lacking resources. In 2000, under the ministry of Dr. James L. Carter, IPC began the Start the Adventure in Reading (STAIR) after-school program for second graders. Recognizing that supplemental follow up is crucial to the continued development of early language and mathematical skills, in 2011 the CFAF transitioned to the Summer Learning Program day camp. At present almost two hundred volunteers provide after-school and summer-reading skills enhancement to sixty children from economically challenged neighborhoods near the church. Church members volunteered teaching nature study through gardening at the Childrens Fresh Air Farm. Photo courtesy of Birmingham, Ala. Public Library Archives. The annual Religious Arts Festival, begun in 1972 by Choirmaster Joseph Schreiber and Dr. M. Scott McClure, draws city-wide audiences for a week of programs featuring outstanding performers in music, drama, and the written and visual arts. The Independent Presbyterian Choir, under the direction of Dr. Jeff McClelland, has performed in venues across Europe, including Notre Dame and Chartres Cathedrals, as well as producing a series of recordings. In May 2012, the church’s $2.5 million Joseph W. Schreiber Memorial Organ was dedicated. In October 2015, the recently installed seventh Senior Pastor of IPC, Dr. William J. Carl III, calling himself the “last pastor of the first hundred years and the first pastor of the second century,” led an assembly of almost two thousand worshipers in a special Centennial Celebration Service held at Birmingham’s historic Alabama Theatre. IPC provides weekly English as a Second Language classes, free to the public and with child care provided as an outreach to Birmingham’s growing Hispanic community. Photo courtesy of IPC. With over 2,300 members true to its founding vision, Independent Presbyterian Church goes forward in faith, its sails steadfastly set toward philanthropy in the Birmingham community and the wider world. In 2016, Dr. Carl plans to lead a Henry Edmonds Preaching Series from the stage of the renovated Lyric Theatre. Thankfully, ushers will be unarmed. Cathy Criss Adams is a journalist, fiction writer, and civic leader in Birmingham, Alabama. Among her publications are the novels Other Autumns and Truth Be Told, as well as Worthy of Remembrance: A History of Redmont. She will join the PHS Board of Directors in July as part of the Class of 2020.